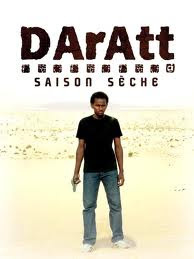 Set in the wake of the long Chadian civil war, 16-year-old Atim (Ali Bacha Barkai) is sent by his grandfather to the city to kill Nassara (Youssouf Djaoro), the man who murdered his father before Atim's birth. Atim, carrying his father's gun, finds Nassara running a bakery. Unexpectedly, the taciturn Nassara takes Atim under his wing as the son he never had and begins teaching him how to run the bakery. The emotionally conflicted Atim is drawn into the life of Nassara and his pregnant wife (Aziza Hisseine), before a finale that Variety described as "sharp, fast and unexpected." The film was one of seven films from non-Western cultures commissioned by Peter Sellars' New Crowned Hope Festival to commemorate the 250th birthday of Wolfgang Amadeus Mozart. Inspiration for the themes of revenge and reconciliation was taken from Mozart's La clemenza di Tito.